It's still a work in progress. Indeed, our team is constantly working hard to move forward when it comes to improving our popular Weather radar feature! When we first enhanced our Weather radar, it contained a large part of Europe that had been added in it: from Spain to Finland, plus Canary islands, Japan, and Taiwan. We were so excited to read your feedback! 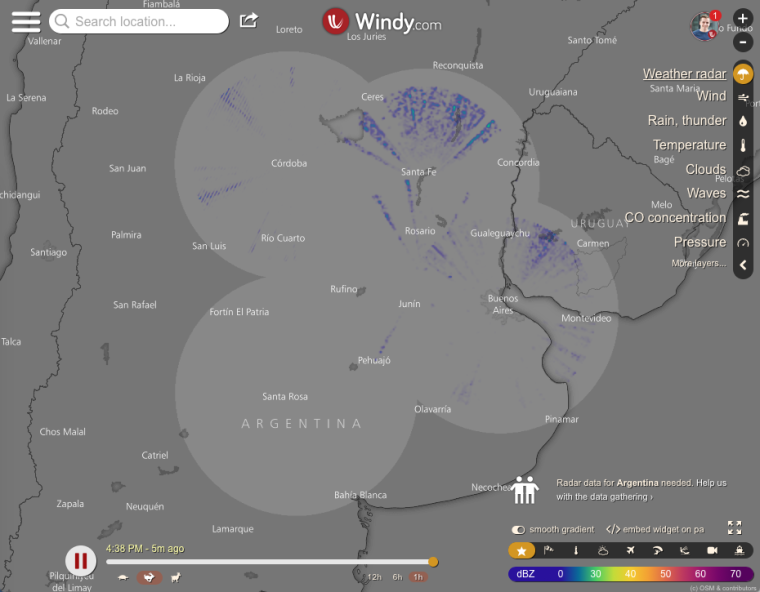 You guys – our fans and active members of the Windy community – kept posting your thoughts and ideas, links and even contacts to potential data sources to other countries. And so it happened that now we are expanding our radar composite again! 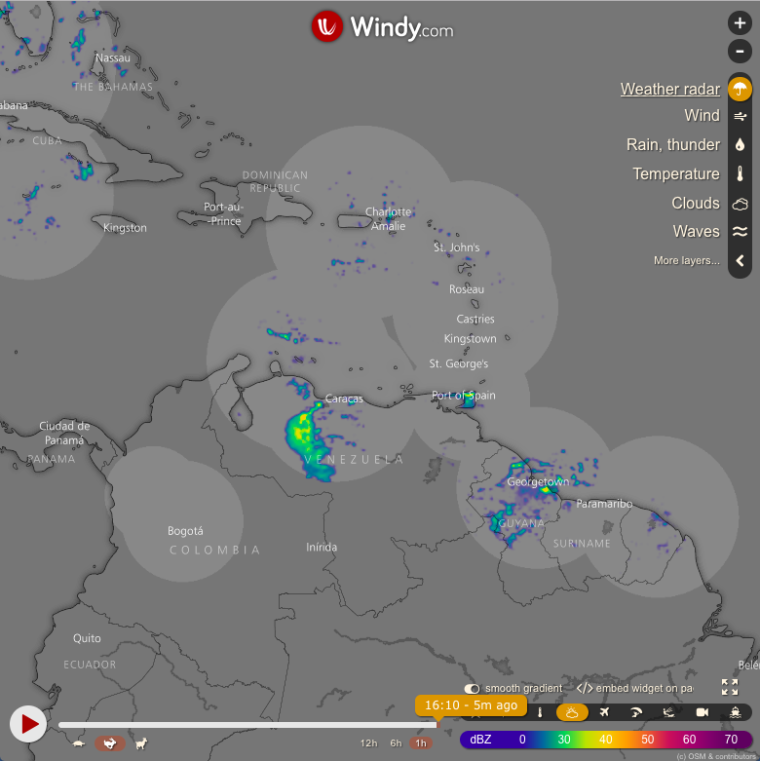 This time, a large southern part of Canada was implemented (from Vancouver to St. John's), soon followed by ten radars in the Caribbean, and then one radar in Estonia (we were contacted and offered the data set by the Estonian Weather Service itself!). 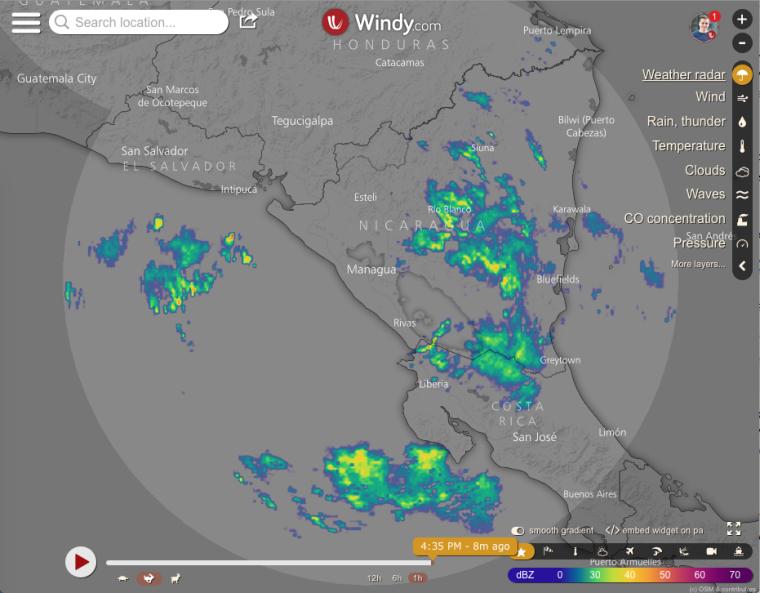 Not too long afterwards, a radar in Nicaragua, two radars in Colombia and four radars in Argentina were added, and finally the long-awaited Italy and Greece (although this source is not a perfect one). 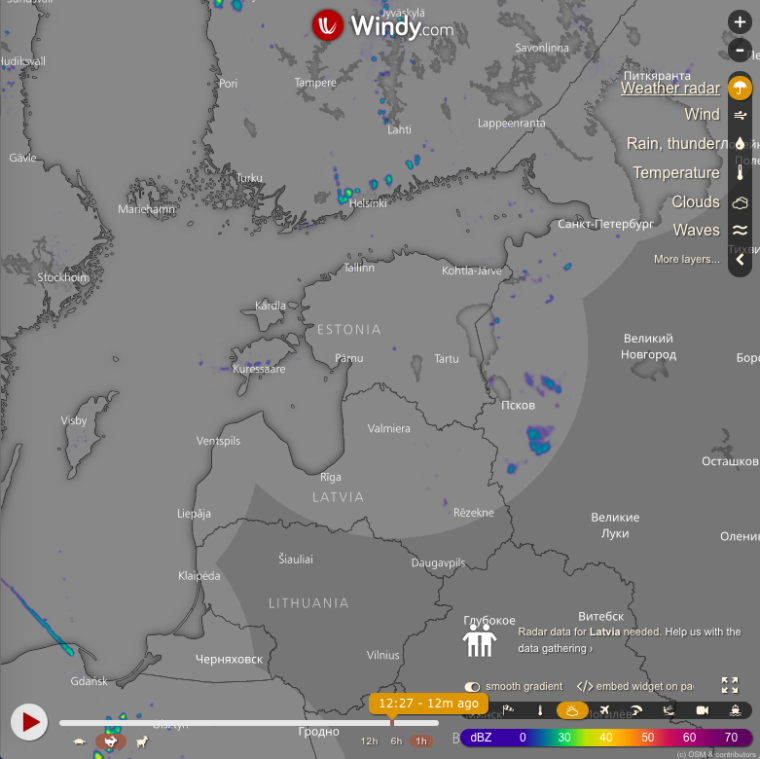 Thanks to the hard work of our programmers, we are still adding more countries into the existing network of radars displayed on Windy. 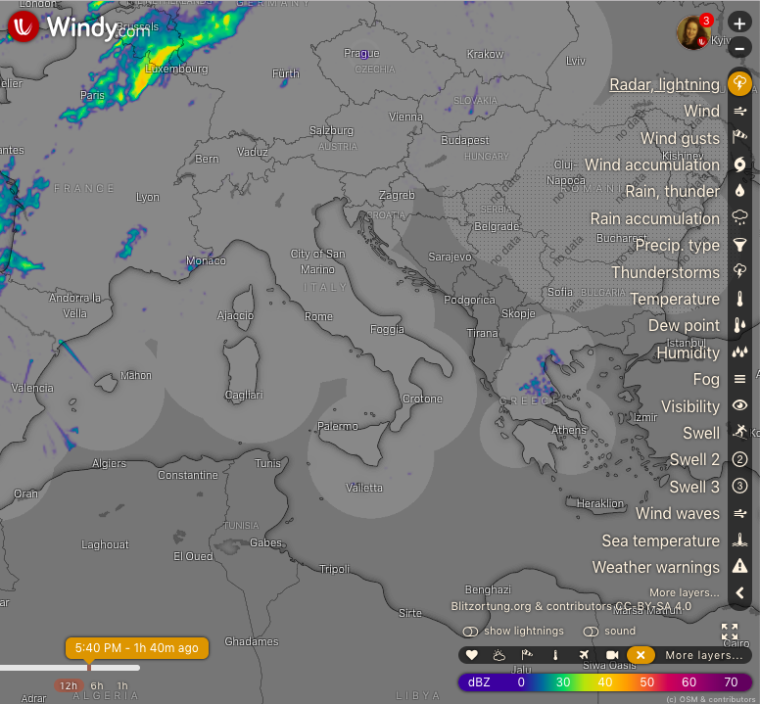 If you want to track the latest updates of our 'Weather radar', or give us a tip to other data providers, you can do so here. Thank you!